Louisiana is moving toward becoming the nation’s 25th state to create a workable medical marijuana program, which would position it as an MMJ beachhead in the South. State lawmakers this week passed legislation that removes a major impediment to a legalized medical marijuana market in Louisiana. They still must also pass a related bill before the program is workable, but that’s expected to happen within the next week or so. Florida voters will decide on an MMJ ballot initiative in November. Polls show the measure has overwhelming support. Louisiana technically legalized medical marijuana decades ago, but it didn’t approve home growing or any way to produce and distribute cannabis. Last year, the state passed a bill to set up a small MMJ industry, but the program again was seen as unworkable because it stipulates that doctors “prescribe” medical cannabis rather than “recommend” it. 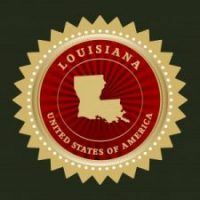 Physicians who write prescriptions for federally illegal substances can lose their Drug Enforcement Administration licenses and face criminal prosecution, so it was highly doubtful any would do so in Louisiana. The two bills moving forward now would fix that issue, but they contain few regulatory details. That would leave state regulators with most of the work of drafting rules governing any MMJ program. Assuming the program does launch, the market opportunities for marijuana businesses and entrepreneurs will likely be limited. Only one marijuana cultivator would be allowed to operate – and that’s only if two Louisiana universities pass up the opportunity to grow medical cannabis. The legislation would also allow up to 10 MMJ dispensaries. The new bill states that doctors can recommend medical marijuana, a change that would allow physicians to help patients access MMJ without fear of prosecution and losing their DEA license. The bill, however, doesn’t remove the threat of prosecution for possession of marijuana, said the MPP’s Ellinger-Locke. That means patients and others could still be arrested under state law for possession of marijuana. For the program to become workable, lawmakers must pass SB 180, a two-page bill that would give patients and people in the marijuana industry immunity from prosecution for licensed marijuana activity. House lawmakers will likely take action on the bill this week or next, said Ellinger-Locke, who expects the bill to pass and the governor to sign it. Lawmakers have until June 6, when the legislative session ends. Assuming the bills are signed into law, it will be a while before opportunities become available – and even those will be limited. A critical factor will be decided by Sept. 1, when Louisiana State University and Southern University will announce whether they’ll accept the opportunity to produce medical cannabis. Under SB271, the two schools get the first crack at growing medical marijuana. If the schools say no thanks, state regulators would award a single cultivation license to a private-sector grower. The bill does not mention anything about application or licensing fees, whether the application process will be open to out-of-state applicants, and who will be eligible to apply. It does state that the eventual grow license winner must prove a net worth of $1 million. The bill also mandates that 7% of producer sales to dispensaries must go to the state’s department of agriculture to cover regulatory costs. The production license would be valid for five years, at which time the cultivator must reapply. Under the measure, 10 medical marijuana pharmacies would be allowed. The Louisiana Board of Pharmacy would develop rules and regulations about where the dispensaries can be located. Dispensary licenses would need to be renewed yearly, according to the legislation. The bill stipulates that applicants must demonstrate the financial means to operate a dispensary and must be able to show they can open an escrow account in the amount of $2 million. The legislation also spells out that a Louisiana-licensed pharmacist must dispense medical marijuana. The bill does not say whether out-of-state residents will be allowed to operate dispensaries, or if ownership will be open only to state residents. “I haven’t been watching it to closely, but my understanding is that it’s a fairly limited program,” said Brett Roper, chief operating office of Medicine Man Technologies, a cannabis consultancy in Denver. The bill’s list of approved health conditions for treatment includes: cancer, glaucoma, HIV, acquired immune deficiency syndrome, wasting syndrome, seizure disorders, epilepsy, spasticity, severe muscle spasms, Crohn’s disease, and muscular dystrophy or multiple sclerosis. The state agriculture department and the Louisiana Board of Pharmacy already are drafting rules to regulate cannabis production, dispensary ownership and other regulatory details. Hmm, more squirming around that doesn’t really amount to much. Why did it take two pages to remove criminal status from anyone? Why only one grower permitted? This is the sort of half-baked nonsense that keeps the underground black market alive. Same scene here in Georgia.